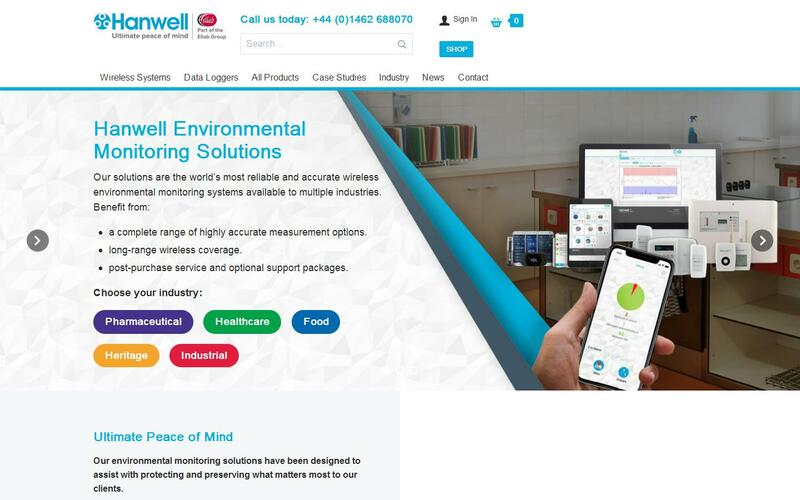 Hanwell is home to the worlds most reliable, consistent and accurate environmental monitoring and control solutions. Our British engineered environmental monitoring solutions have been designed and manufactured in-house since 1990. Since then, we have been able to assist with protecting and preserving what matters most to our clients across multiple sectors; Pharmaceutical, Food, Hospitals, Laboratories, Heritage and many more. Using radio or GPRS technology designed and built by us means that these wireless environmental monitoring systems are suitable for use in small to large environments where 24/7 monitoring and real-time data is paramount. Environmental monitoring and control with high accuracy sensors, LCD display and unmatched radio strength that overcomes the most complex obstacles. Reliable and affordable environmental monitoring with competitive accuracy, cold-chain solutions and radio strength that overcomes most typical applications. A wirelessly automated temperature monitoring system for retail refrigeration equipment monitoring, in and out of working hours.